New York Times – Media! Tech! Parenting! 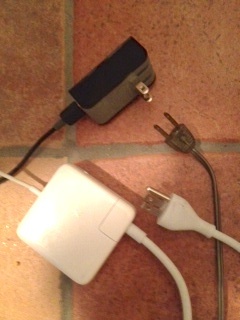 We unplugged all of our gadgets in case a surge occurred when the power came on. Check out the November 9, 2012 New York Times piece, Hurricane Sandy Reveals a Life Unplugged. The article by reporter, Aimee Lee Ball, describes the experiences of New York and New Jersey families who lost power and home access to their computers and digital devices during and after Superstorm Sandy. Each family handled the situation differently, but many children and their parents found it was a challenge to engage in non-digital activities over a longer period of time. Looking into Our Kids’ Futures: Will Social Media Be There? If you missed this set of essays, Is Facebook a Fad? Will Our Children Tweet?, published in the June 19, 2012, New York Times, take some time to read these short pieces on social media and contemporary life. As a part of a regular Times’ feature, Room for Debate opinion, readers can learn what six knowledgeable media commentators think about the always evolving digital world. Why Social Media? Especially Why in My Child’s Classroom?? Read this thought-provoking post, Why Social Media Tools Have a Place in the Classroom, over at the GigaOM blog. Writer Ryan Kim goes into considerable detail describing reactions to a recent New York Times article, Speaking Up in Class, Silently, Using Social Media. Kim’s blog post then goes on to offer some compelling reasons why teachers (and probably parents, too) should examine social media more thoughtfully before rushing to judgement. Learn a bit more about the GigaOM blog.